Home / Blog / Campaign Update – Nashville, Tennessee responds. 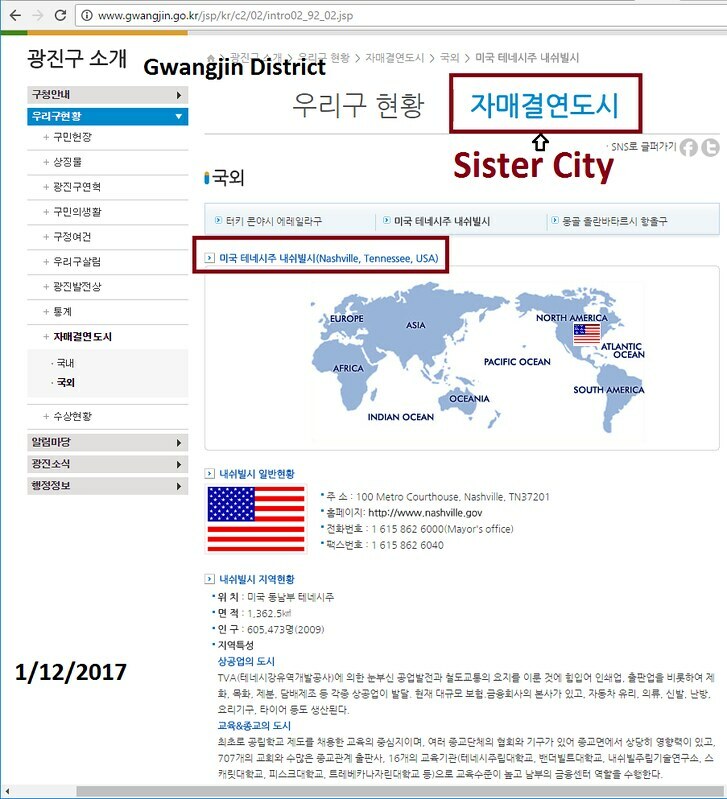 We have received a response on January 11, 2017, regarding our Friendship City Campaign with the Seoul Gwangjin District, South Korea, and Nashville, Tennessee. Our Friendship City Campaign had been launched based upon information obtained from Governors Association of Korea and the homepage of Seoul Gwangjin District. 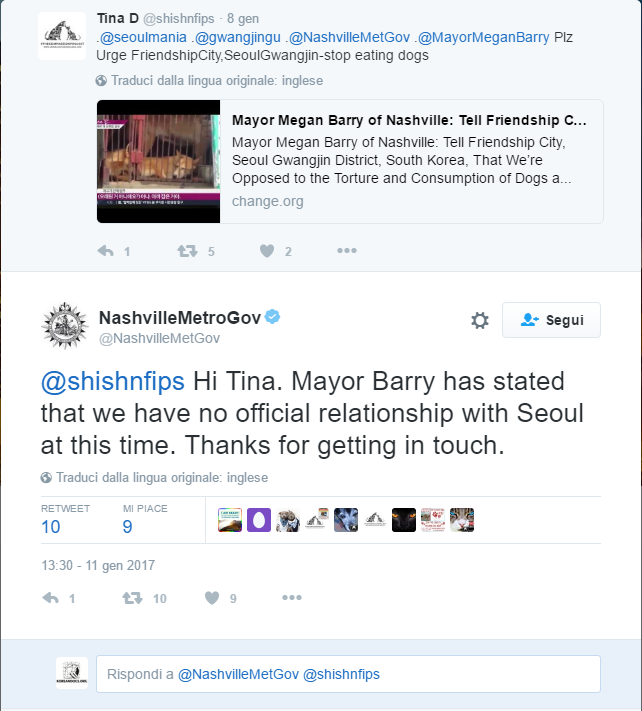 With this confirmation given by Nashville, we will now close our Friendship City Campaign, and online petition. We extend our gratitude to the leadership of Nashville, Tennessee, for responding to our petition so quickly. We also send our heartfelt thanks to all in support of our work, who have taken action to speak out against the cruelty to dogs and cats in the Seoul Gwangjin District. Now it will be good to let Seoul know HOW QUICKLY people hurry to claim they have nothing to do with such a cruel city. Like if Seoul was leprous.